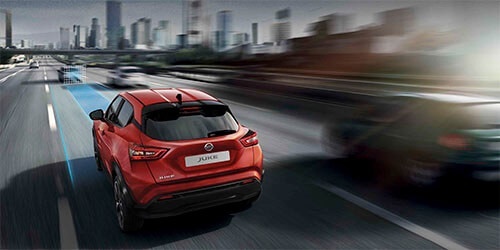 The Nissan JUKE is designed to inspire the thrill seeker in all of us. With a wicked glint in the embedded headlights, the smirking grin across the grille and lower fender, or the sleek upper body sports car styling, you're sure to stand out from the crowd. 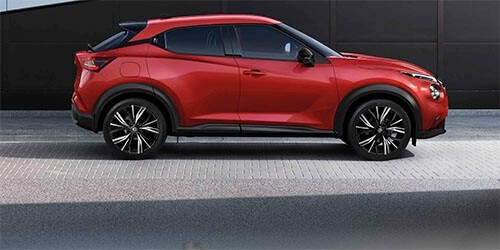 The JUKE combines these features with the newly designed high posture suspension. Increased roominess gives you more ways to get the most into, and out of your New Nissan JUKE. Contributing to its space and flexibility is the two-stage adjustable cargo floor (2WD only). 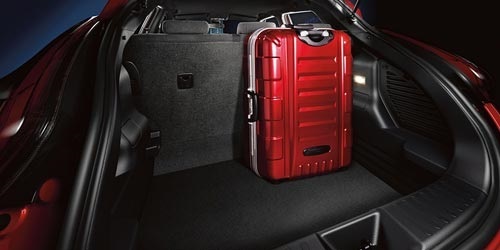 With the second-row seats up and cargo floor lowered, there is plenty of space in the back for large luggage. What if parallel parking was easier? A rear view monitor is great when backing up – but when it comes to parking, it’s nice to see more than just what’s behind you. That’s why the Nissan JUKE Ti-S offers an Around View® Monitor^. Four cameras give you a virtual 360º bird’s-eye view of your vehicle, with selectable split-screen close-ups of the front, rear, and curbside views, so you can get a better look. ^Ti-S models only. Around View® Monitor is a driver’s aid only and may not cover all blind spots. Moving Object Detection® may not detect every object. Always check surroundings before moving vehicle. Make a statement. With two types of personalisation packs to choose from, in four different colours, you can make your JUKE as stylish and unique as you are. 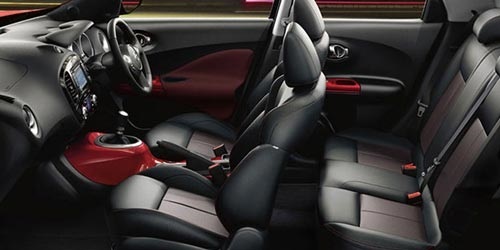 Spruce up your JUKE with your choice of red, black, yellow or blue myJUKE accessories accents from Northside Nissan.